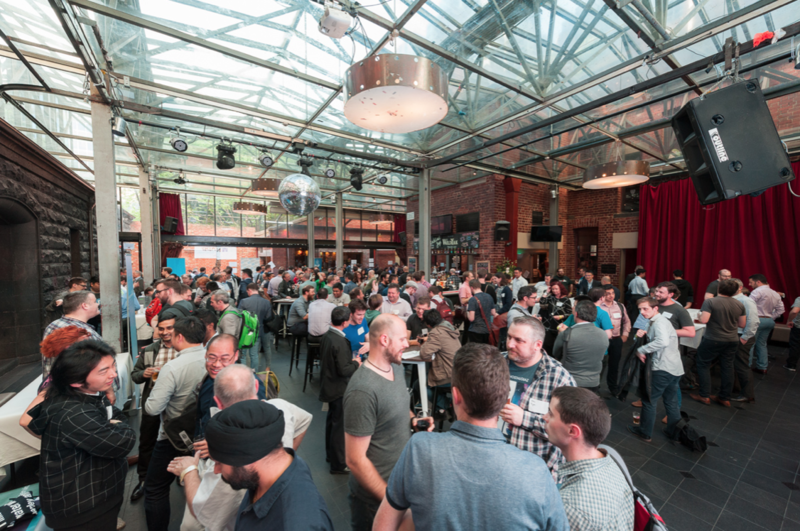 #BeerOpsChilli is one of Australia’s biggest DevOps events. After wrapping up 2016 on a high note, BeerOps is going strong into 2017 and organising their biggest event so far. 500 (yes, five hundred… that’s not a typo) DevOps professionals are coming to network, engage with the community and win one of the amazing prizes they’ll be giving away. Save the date – Thursday 6th July. If you are in DevOps, then you must attend. At The Martec, we will. We are proud to announce we’ll be sponsoring the #BeerOpsChilli event alongside some amazing brands like Microsoft, NetApp, Contino, Cloud Conformity, Computer Alliance and Hays Personnel. But that’s not all, we like to dig a bit deeper than that. Being mere spectators isn’t our thing. That’s why we talked with Stephen Wallace, Founder of Meetup Madness and Co-Founder of BeerOps, Neil Carter, Open Source Product Marketing Manager at Microsoft Australia; Gethin Davies, a Consultant at Hays Personnel; Keiran McCartney, the Alliances and Solutions Manager at NetApp, Keith Davison, the VP Revenue & Customer at Cloud Conformity and Daniel Williams, Director of Engineering APAC at Contino. Microsoft, NetApp, Contino, Cloud Conformity and Hays Personnel were kind enough to give us some of their time to talk DevOps. We covered why they are sponsoring the event, the future of DevOps and advice for people looking to build a career in the industry. From engaging the community to supporting aggressive company growth, there are plenty of reasons to engage the DevOps community in Australia. But if there is one thing all sponsors vehemently agree on is the importance of spreading the word. What advice would you give to someone wanting to build a career in DevOps? Getting mentoring and advice from people who are where you are trying to go is the single best career accelerator. That’s why we asked these experts what advice they’d give to someone interested in DevOps. There’s some interesting and counterintuitive advice, but if there is something everyone agrees on is the importance of learning. What exciting developments do you see in the next 12 months in the overall DevOps landscape? With such a fast pace, it’s hard to predict the future, especially in technology. But if there is a select group of people in Australia with the right background do it, it’s leading stakeholders at some of the biggest Australian companies. Pay attention. If you want to catch up with Microsoft, NetApp, Contino, Cloud Conformity, Computer Alliance and Hays Personnel, or simply grab a pint, engage with other developers and meet some new people, then #BeerOpsChilli is for you. This Thursday, July 6th at 6:00pm in Sydney. All information can be found at Meetup Madness #BeerOpsChilli, or on Twitter. And if you want to keepup with upcoming events, sign up at Meetup Madness.